So, it’s a TRD Pro Sequoia. Wee. I’ve seen 1st gen Sequoias off road, I can’t say I’ve seen any second gens. 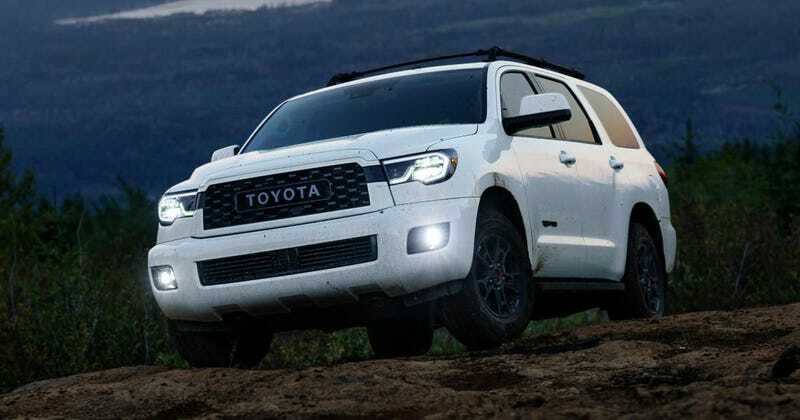 Plus, the Tundra TRD Pro is now available as a double cab.